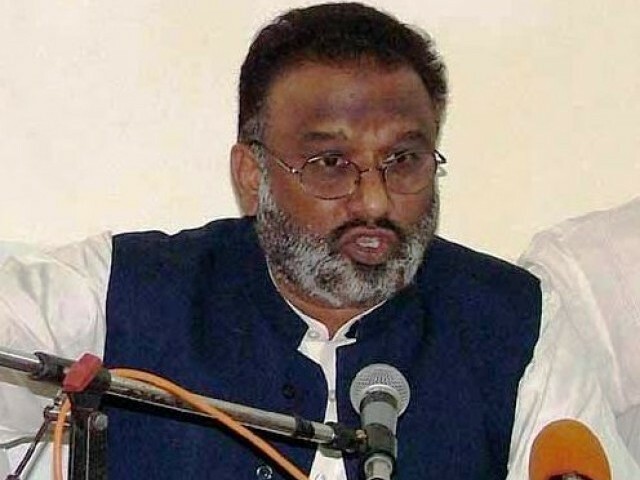 Arbab Ghulam Rahim’s seat (PS-60) was declared vacant on Thursday after the Sindh Assembly voted on a motion on the subject. The assembly secretariat will now issue a notification and approach the Election Commission of Pakistan. The wheels had been set in motion since a majority of Sindh MPAs had refused to grant leave to Ghulam Rahim, former Sindh chief minister of the Pakistan Muslim League-Quaid (Likeminded), from attending the assembly. Sindh Assembly Speaker Nisar Khuhro informed the assembly that the assembly secretariat had prepared a report on Rahim’s attendance record in the assembly. According to the Constitution and rules and reports received, Khuhro said he was mandated to inform the house that Rahim had been absent from the assembly for 40 consecutive days. Local Government Minister Agha Siraj Durrani then rose to present a motion stating that Rahim’s seat be declared vacant for his absence, which was repeated by several other MPAs. PML-Q (Likeminded) MPA Razzaque Rahimoon said that this was not a good tradition to establish and said he would boycott in protest. Rahimoon and PML-Q (Likeminded) MPA Arbab Zulfiqar had filed a plea to the Sindh High Court on Rahim’s behalf for the court’s help to obtain leave. It was dismissed on Wednesday. Durrani said, “We did not force him to leave,” while Senior Education and Literacy Minister Pir Mazharul Haq said, “Enough is enough” and if Rahim said he was unwell, his tone and language during his phone-in speeches seemed to indicate otherwise. The Sindh Advocate General read out several articles of the Constitution and told the Sindh Assembly that the “provisions were very clear”. Rahim’s last leave application was rejected by Sindh Assembly MPAs. While he has normally cited ill-health as a reason for not being able to travel from Dubai – where he lives – to attend the assembly, in his last application he said he could not travel because of security concerns.